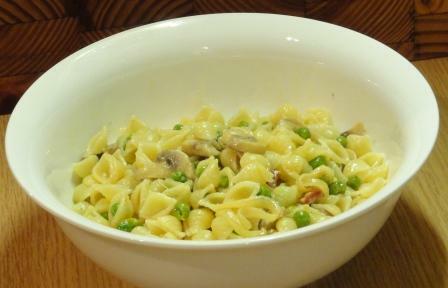 This recipe for pasta with a Scallop, Pea And Bacon Pasta sauce is a bit decadent, but worth trying! I thought the combination of flavours was absolutely perfect. We often see scallops being served on a bed of crushed peas with black pudding and that was the inspiration for this dish.